Disclosure: This post was created in partnership with BELLA Housewares. Thank you for supporting the growth of Food Heaven! 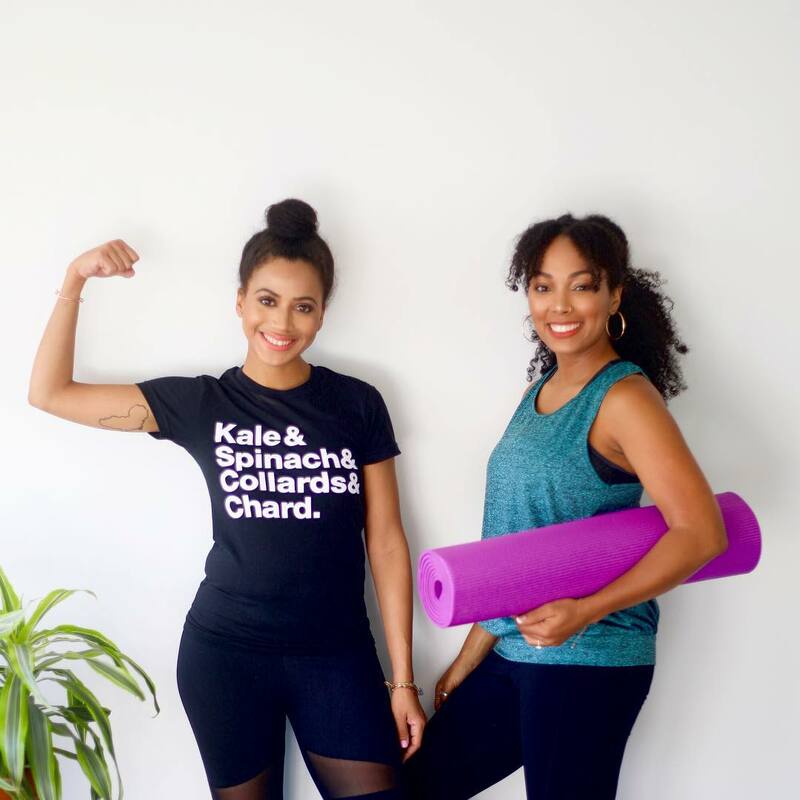 As Registered Dietitians who counsel hundreds of people on improving their diets and overall health, our nutrition recommendations can typically be summed up into three simple words: eat more plants. By plants we mean anything that is grown out of the ground, such as fruits, vegetables, nuts, seeds, whole grains, and legumes. From improving bowel regularity to lowering rates of chronic disease, the power of plant-based eating is undeniable. Eating plant-based foods may help to reduce your risk of diabetes, heart disease, high blood pressure, and even mortality. A plant-based diet is also better for the environment, as meat production leaves a huge carbon footprint on the planet. First, they have to taste good. If the plant-based foods don’t have flavor, our patients aren’t interested. Second, they have to be easy to incorporate. If our patients have to spend more time adding more plant-based foods into their diet, they aren’t doing it. Third, preparation process should be fun. This is especially true for our patients with kids. 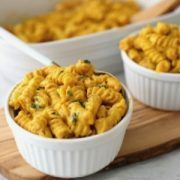 Making the cooking process more exciting is a strong motivator (especially for kids), to eat these new, healthy foods. Which is where the BELLA Electric Spiralizer comes on. You read right, an electric spiralizer. 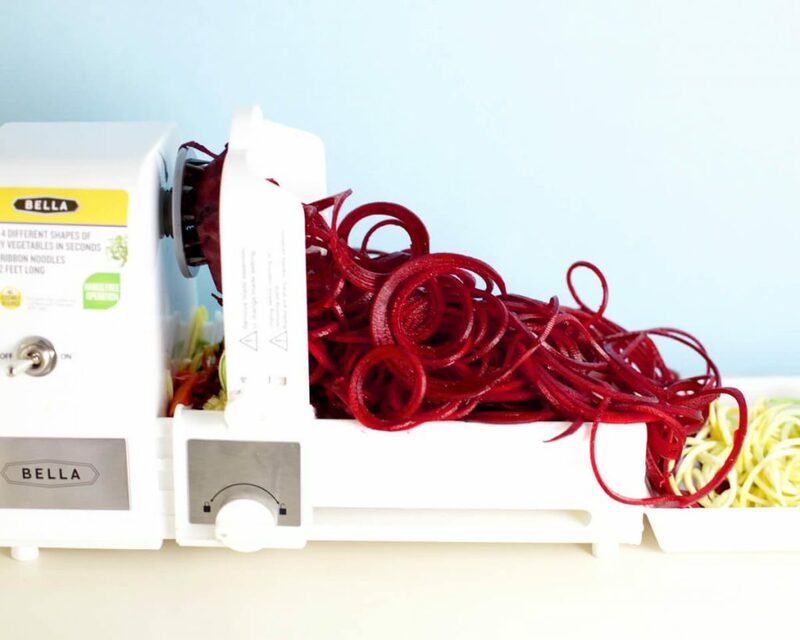 When we were first approached by BELLA housewares to try this spiralizer out, we were ecstatic. We were already in love with the traditional spiralizer, but an electric one? Yes, please. Talk about making it fun and easy to incorporate more vegetables into the diet. The cool thing device is that it features a rotating blade system that creates 4 different shapes: ribbons, linguine, spaghetti and fettuccine. It also has a one-touch, automatic moving blade (with auto-stop feature), which means you can multi-task in the kitchen like a pro. 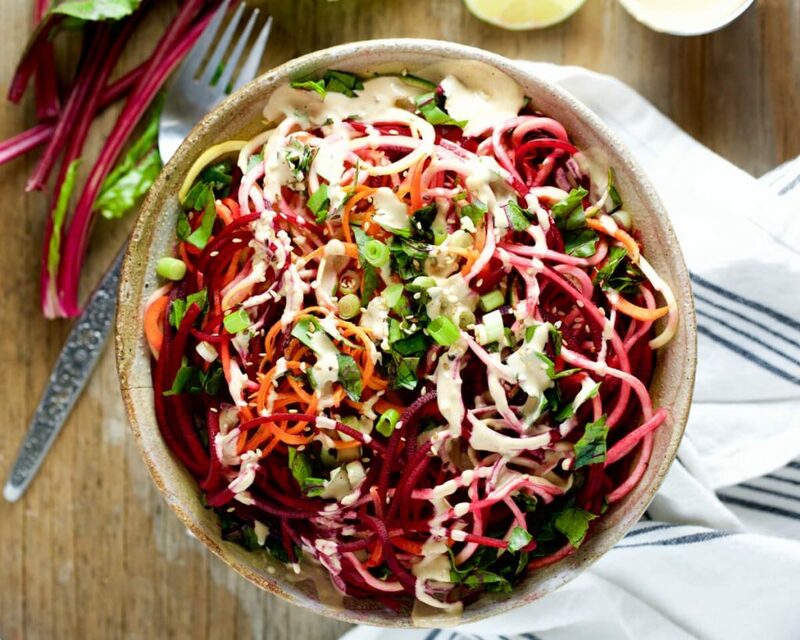 Learning about the spiralizer left us inspiralized to create this simple Spiralized Summer Salad with Peanut Sauce Dressing recipe. 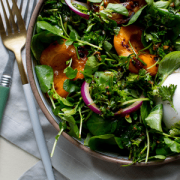 We chose to include a wide variety veggies in this dish – namely beets, carrots, yellow & green zucchini, scallions, greens – to boost the flavor and nutrition content. 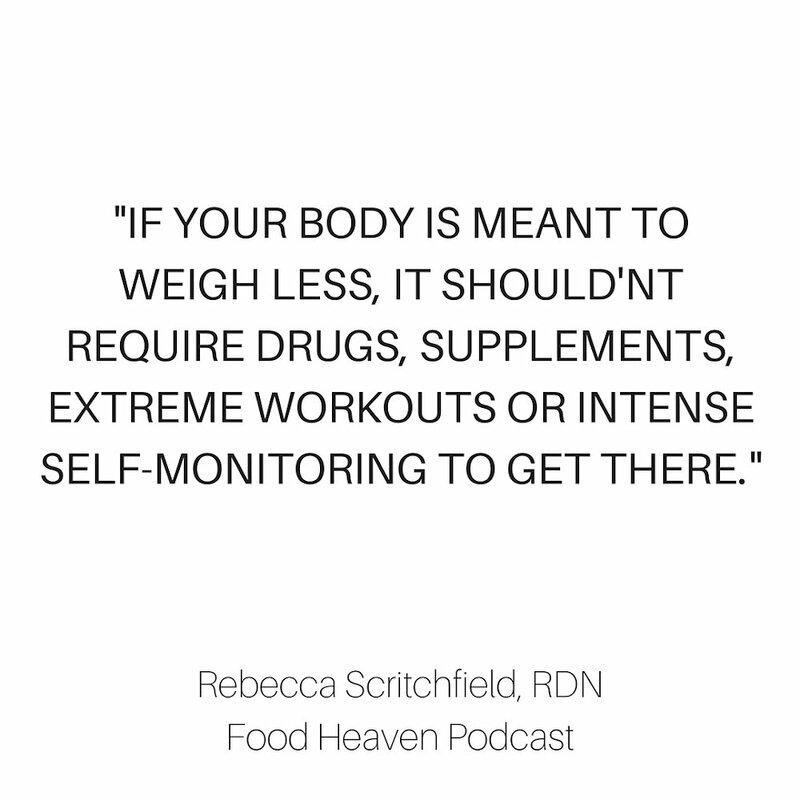 As dietitians, we recommend that our patients aim to have four (or more!) food colors on their plate, especially at lunch and dinner. We say this because different colors contain different vitamins, minerals and phytochemicals, which all have health promoting properties. 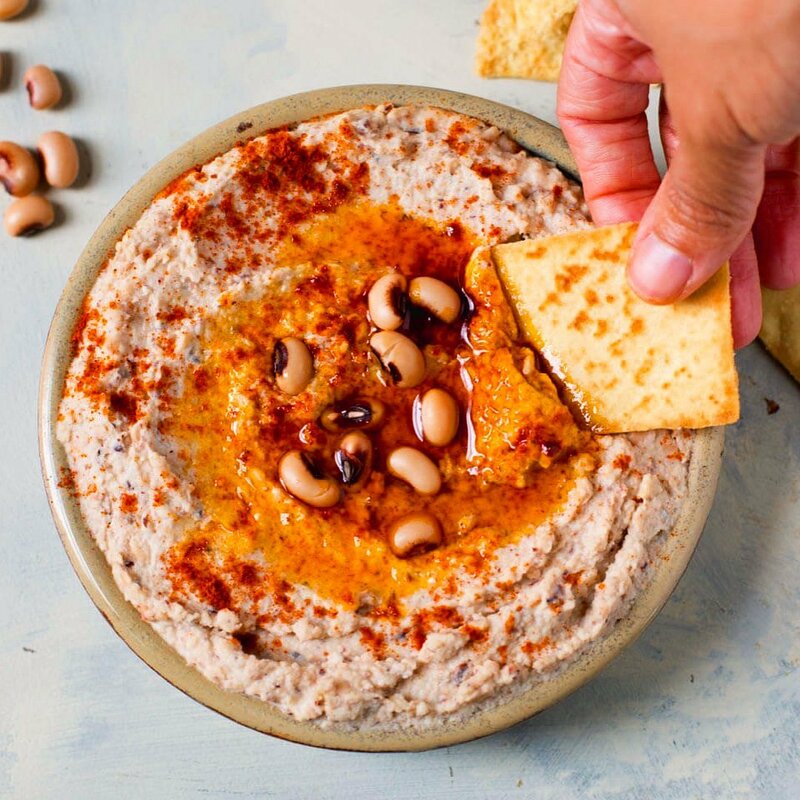 This recipe is packed with color and fiber, which is great for keeping you regular, lowering cholesterol and stabilizing blood sugar levels. We paired this salad with a peanut sauce dressing, because we wanted this dish to be more satisfying (read: keep you full for longer). 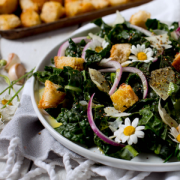 Plus, pairing vegetables with healthy fats drastically increase the absorption of fat soluble vitamins. Okay now on to the recipe. Start by washing all of your vegetables, and then peel the skins from the beet and carrots. Using a sharp knife, chop the ends off from the beet, carrots, and zucchinis so you have flat ends on each side of these vegetables. Starting with the zucchini, position both ends into the Bella Housewares spiralizer, lock it into place, and flip the on switch. 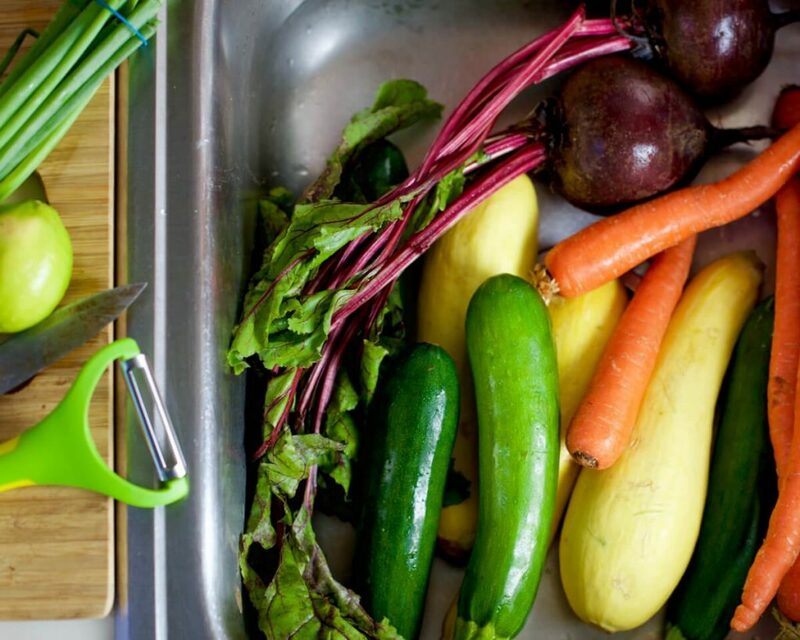 Once the zucchini is spiralized, turn the spiralizer off, let it rest for one minute, and continue on to the rest of the vegetables (the zucchini, carrots, and beets). Once all of your vegetables are spiralized, toss them together in a large bowl with your hands. Top with beet greens and scallions. You can also top with sesame seeds, and lime juice for an extra kick. Now for the finishing touch…let’s make our creamy peanut dressing. All you do is add all of the ingredients to a blender, and blend. 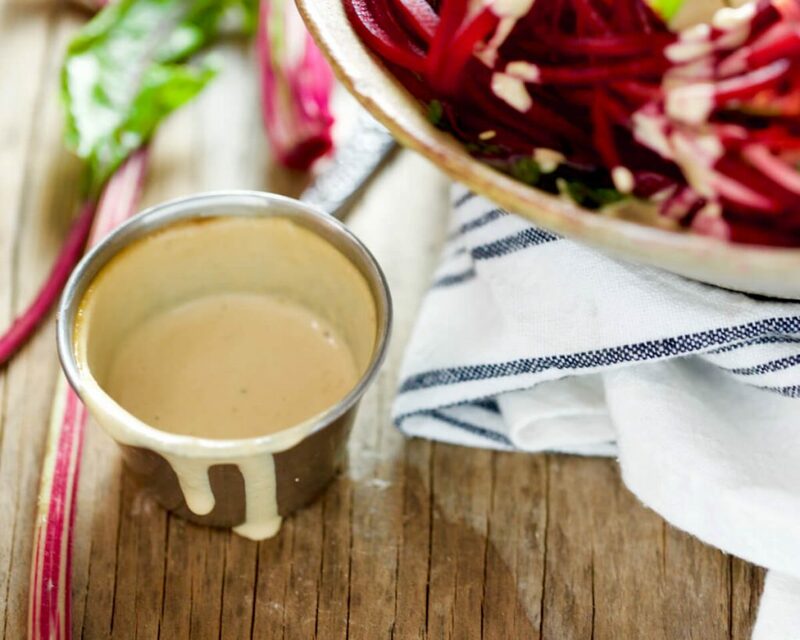 Drizzle our homemade peanut dressing onto the salad bowl for a creamy finish! Once you are finished using your spiralizer, you can easily break down and hand wash or clean the removable parts in the dishwasher. This spiralizer comes with a super handy brush, which makes the cleaning so much easier. You can get the BELLA Electric Spiralizer at Kohls or Bella Housewares! Have you spiralized before? Let us know what your favorite spiralized foods are! Top with beet greens and scallions, and drizzle our homemade peanut dressing for a creamy finish! Optional: Top with toasted sesame seeds! Add all ingredients to a blender, and blend. Store for up to 1 week. I could eat this salad everyday. So healthy, colorful and delectable!